OK, this is not a record cover but it’s of general interest. This is Baba Zanetti’s own sludge. It contains facial and chest hair, spit and other substances Baba doesn’t like to discuss. His girlfriend removed it from the sink. She said that this mass is practically alive. Yes, Baba has a girlfriend although he is not an attractive man. Now the sink drains much better, thank you. 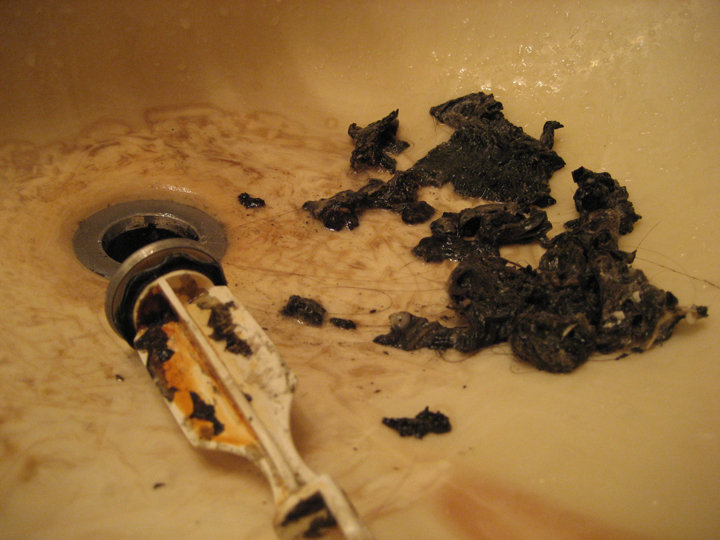 Do you know what’s lurking in your sink drain? This entry was posted in Other and tagged drain, sink, sludge. Bookmark the permalink. One Response to "Baba’s Sludge"